My Daughter Is Very Depressed – Help? Hi, my daughter is 10 years old and in grade 5. She has been bullied at school for the past 2 1/2 years. My daughter did not sleep at night. She wanted to sleep with me all the time. When she was in her own bed she never slept at all. One day I was making her bed and I found big clumps of hair under her pillow. She had been pulling her own hair out because she was so hurt :'( She never wanted to go to school and cried all the time, never smiled and started being mean to everybody at home. She was depressed. I went into the school and had it fixed. The school vice principal started a program for the girls for bullying which helped out alot. The bullying stopped and my daughter actually enjoyed going to school again and was smiling. Within the last month I've noticed the same symptoms again. They did not bring the program back this year so the girls are back at it again and now started doing it over the computer. I'm so upset and my heart is broken. She can't even enjoy being a kid. The last 2 1/2 years have been hell for her. I feel like I'm constantly at the school and know the kids that are bullying her are telling their parents my daughter is doing things to them so she gets in trouble. Comments for My Daughter Is Very Depressed – Help? My Daughter Is Very Depressed ? Help? I'm very sorry to her this, but this is the cruel reality of life. 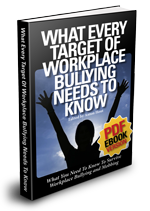 I was bullied severely at school & work. In fact I have received bullying all the time throughout my life. I also have severe depression, Social Phobia or Social Anxiety disorder, all brought on by peoples bad behavior, my current age is 40. Currently I'm having Psychotherapy CBT meaning Cognitive Behavioral Therapy, I really think this would help your daughters negative thoughts. See your doctor about this treatment. But the second thing you do is sort out the real evil, the bullying in school. 5:Diplomatically (Talk to bullies parents) & the affect it's having on your daughters mental health, this my work & not. It really depends on the personality of these individuals. But try to arrange a school meeting with the principle & with these parents & yourself present. Make sure the school sends a letter to the bullies parents to attend. Going to their house I don't recommend. My daughter is very depressed - help? This is so unacceptable. I feel so bad for your daughter. Fifth grade should be filled with such joy and fun. She's coming into her own now and being aware that she doesn't have you around to stand up for her anymore. Girls can be terribly mean. I hate when I hear someone is being bullied. At this age I have noticed that they are starting to be concerned more about appearance, clothes and the "popular girls." Please meet again with the Principal and make weekly contact with her. Also, engage the counselor and see if she can help bring the specific girls together with your daughter to work through issues. These girls parents need to know what is going on. Also, tell every teacher that your daughter has what is going on and check in with them at the end of the week. Who cares if you become a pain, you are the only one that can advocate for your daughter. Unfortunately, they give children a big talk about bullying but don't make it routine in school. The buses also need to be monitored because kids can have awful behavior toward others on them. Your daughter is so lucky to have you. Try to get her involved in an after school activity where she will be in a group setting with other girls. Invite girls over for an afternoon of fun or an evening movie and popcorn. It also helps for her to write her feelings down each day and then perhaps at the end of the week you can take some time to discuss with her what she's feeling and writing down. If you're noticing things not getting better then you can address it immediately. Also, role playing with your daughter can be helpful. That way she will know how to react to these bullies. Also, let her know she needs to find a teacher at school that she can confide in when things get bad. 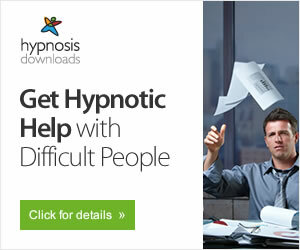 The counselor should be able to help with this. Ask the Principal to have a teacher keep an eye on her at recess to see if anything is going on. Good luck with this. Love her tons. Remember, keep going to the school and then the school board if you're still having a problem!!! A concerned Mom of a fifth grade girl too. I can feel your pain! My daughter has been bullied for 7 years and is a Junior in High school and it is starting again! This time I went to the school board and complained. The authorative figures at the school are treating my daughter like she is the bad guy! My daughter is so despondent and depressed. I just cry and cry because I feel so helpless. Please try to hang in there... we are even though the world has shut its door on us! I'm so very sorry that you and your child has to go trough this! Depression is such a major issue these days and it's always caused by how someone makes another person feel. At least your daughter has the communication skills and she's able to tell you what is wrong. For those girls that are doing the bullying do not feel good about themselves. just keep loving your daughter and remind her that you are her friend, and you are all she needs right now.